A little over a year ago friend Jim Swan, author of the excellent Chicago’s Irish Legion sent me on an image of a cigarette case he had come across. 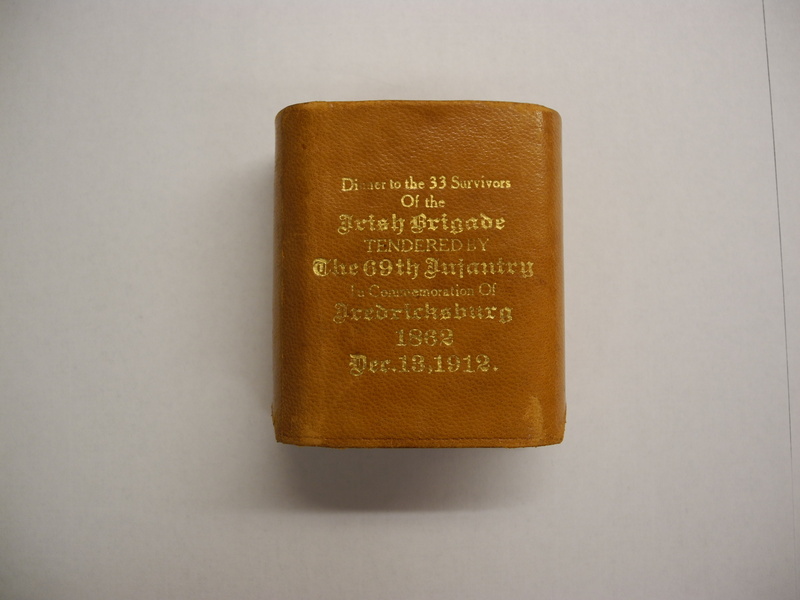 It commemorated a 50th anniversary dinner held in 1912 for the survivors of the Irish Brigade who served at Fredericksburg. 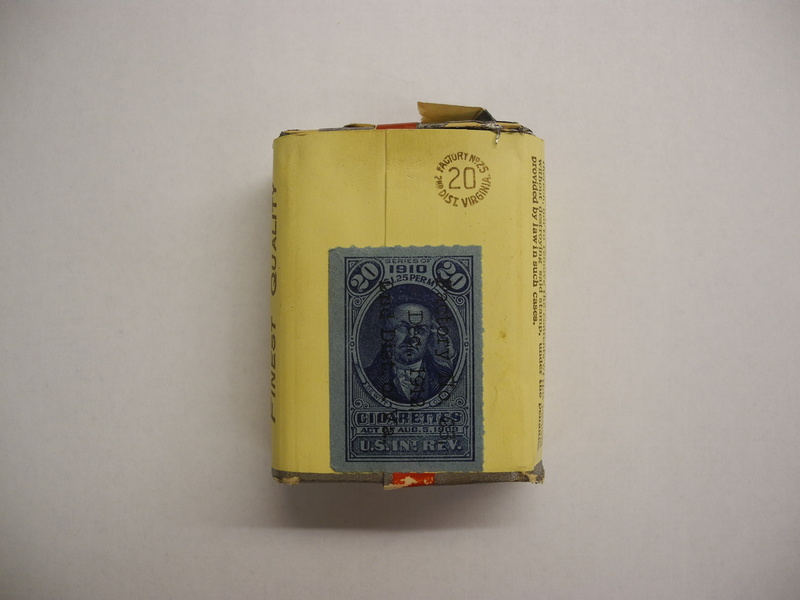 I decided to research the object, which revealed a remarkable story which was the topic of a subsequent post (read it here). In fact I was so taken with it that I also decided to cover this commemorative dinner in my book (which is now available, but more of that anon!). 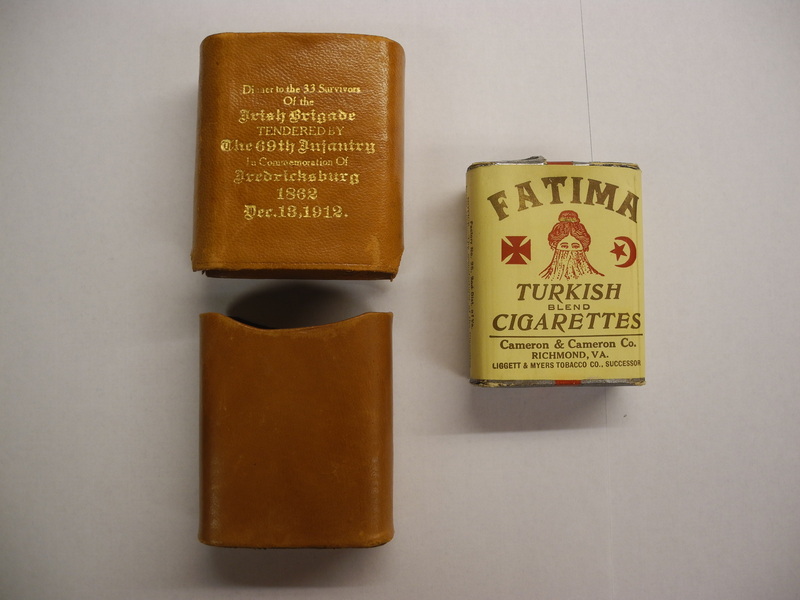 The inscribed cigarette cases were available to those who attended the 1912 anniversary event, so imagine my delight when recently contacted by reader Patricia Doherty, who is also in possession of one of these cases. 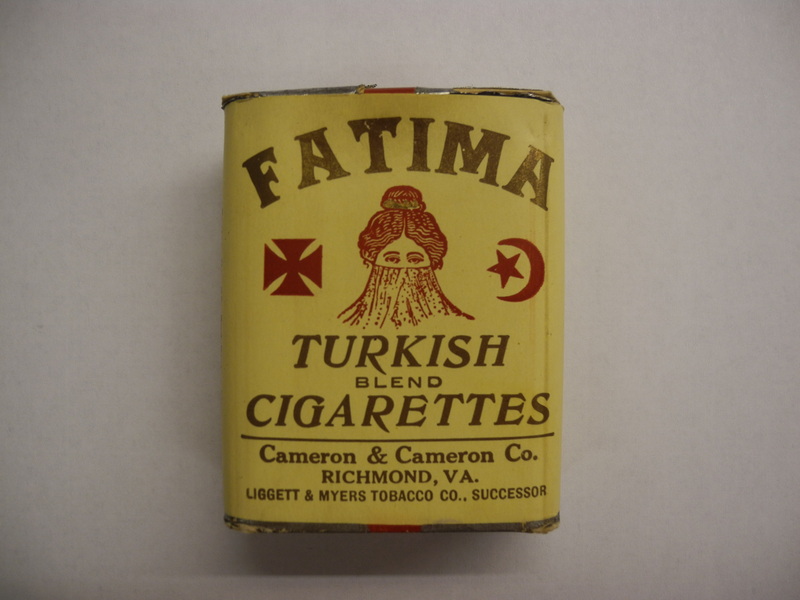 Patricia recently discovered the superbly preserved object in an attic, complete with the original packet of Turkish cigarettes inside! 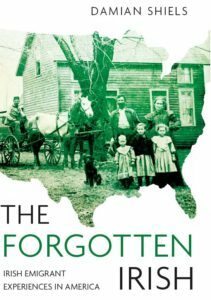 The object may well have belonged to Patricia’s Great-Great-Grandfather who was a Civil War veteran. Patricia is seeking the help of readers in determining the value of the object, so any assistance in that regard would be appreciated. It is a truly magnificent object, which was discovered just in time for the 150th anniversary of the event that it commemorates. What a great attic discovery! I can imagine that these were indeed treasured mementoes of a special celebration. It’s wonderful that some still exist. I would be so tempted to smoke one of those. Probably not a good idea. There is one for sale this weekend without the cigarettes. They are asking $750. Thats a fair sum Joe! Thats the third time I think they have come up now? It seems to happen quite a bit.